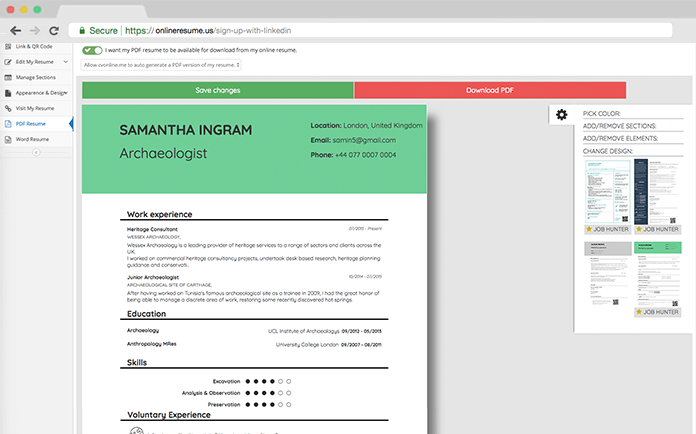 standout from the crowd with an eye-catching online and PDF resume. 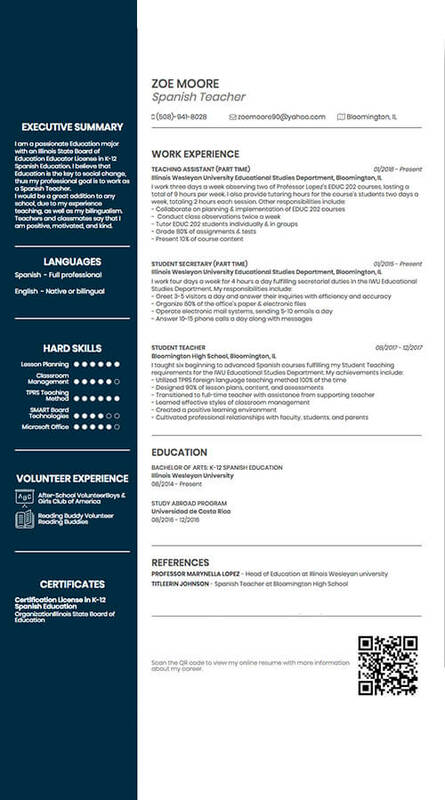 Onlineresume.us has helped me manage all the versions of my resume and be able to use each version when I need them. Signed up using my linkedin profile and I was able to create 3 awesome resumes. 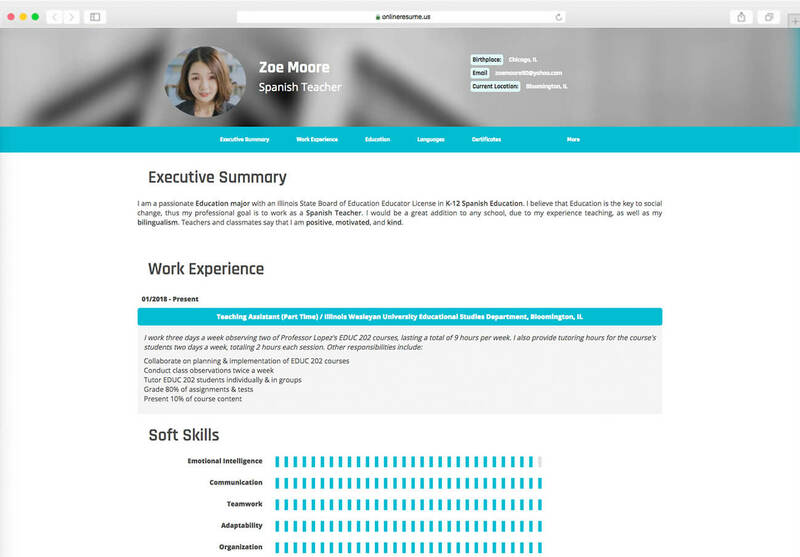 This site has the best PDF and online resume templates on the internet. 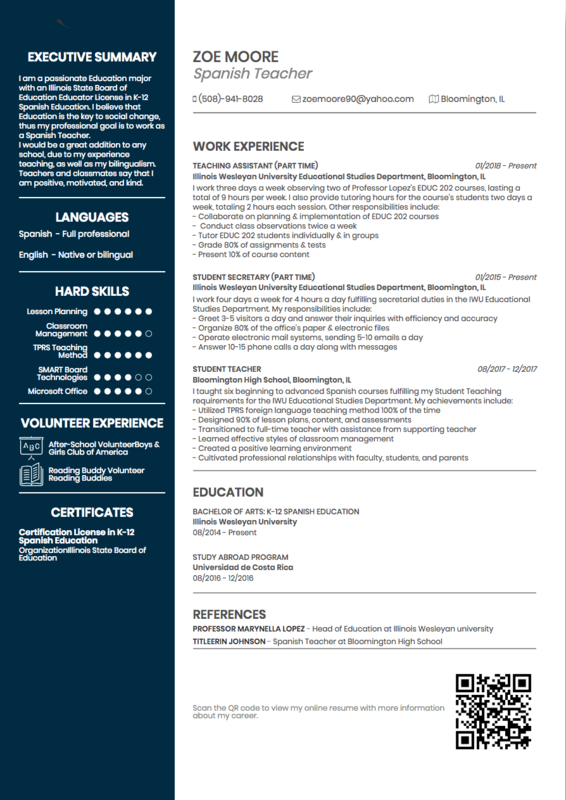 Create an online resume and outstanding PDF version. Make as many as you need, target them to your applications, and tell your story! 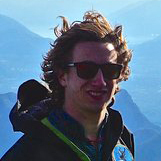 Build and download a PDF resume. Connect them with a unique domain link & QR code. 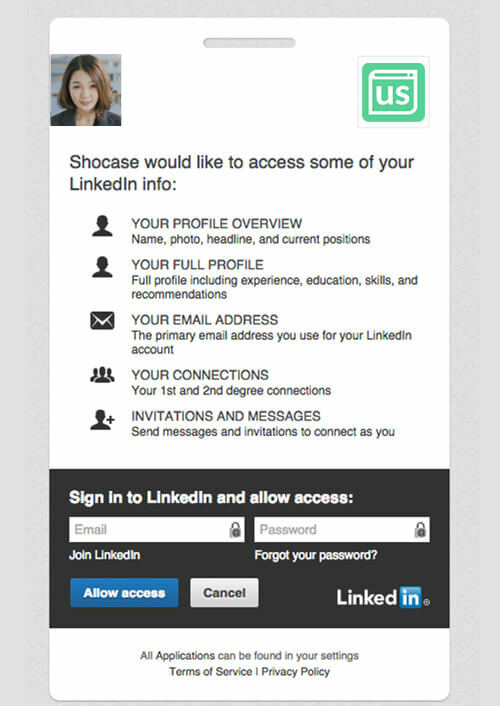 Use your Linkedin profile to sign up with our platform. Add any information that hasn't been imported. Include all relevant work experience and education. 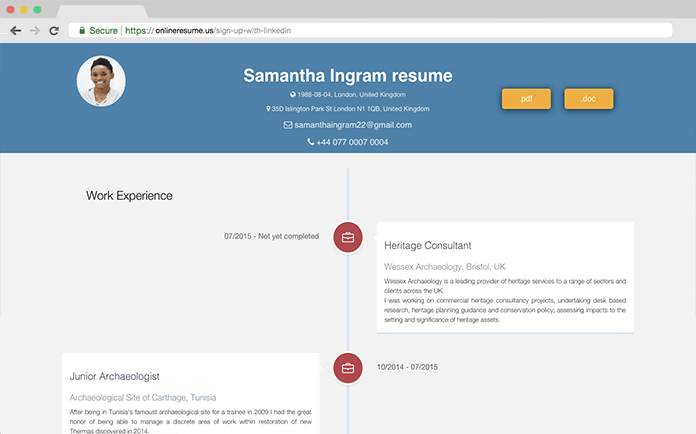 Choose from over 20 different online resume designs, and growing. 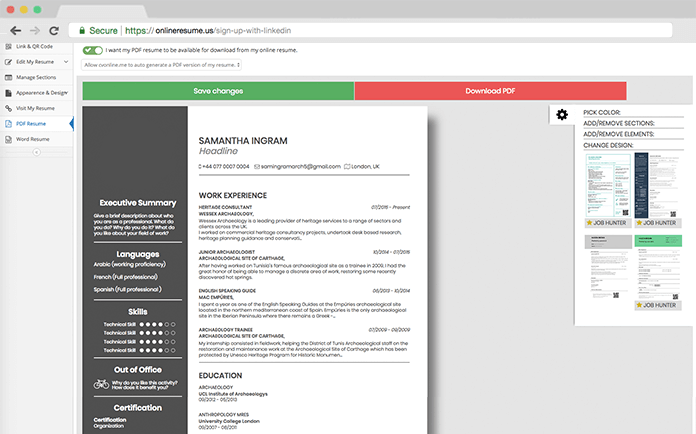 Select the PDF resume template that best fits your application. Tailor each resume to the specific job position at hand. Linkedin is the greatest professional social network that the world has ever experienced, and people use it everyday to find talented candidates and new job opportunities. 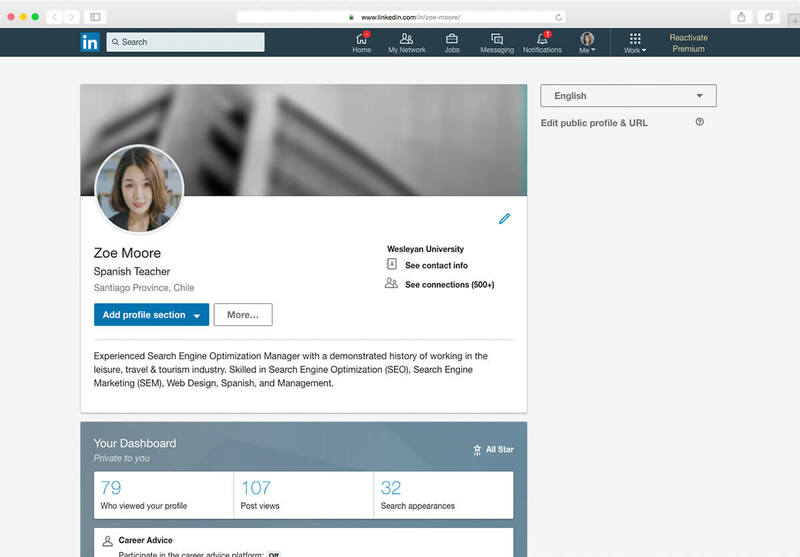 Many people are already using Linkedin to demonstrate their professional profile, with detailed work experiences, education, skills, and references. 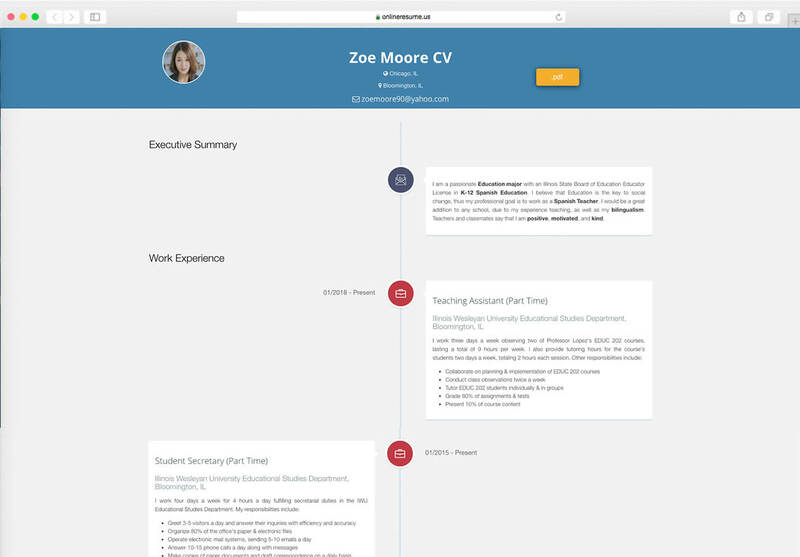 That's why, at onlineresume.us, we want to make it super easy for our users to export all of that valuable information from their profile and create successful resumes, whether online or in PDF format. 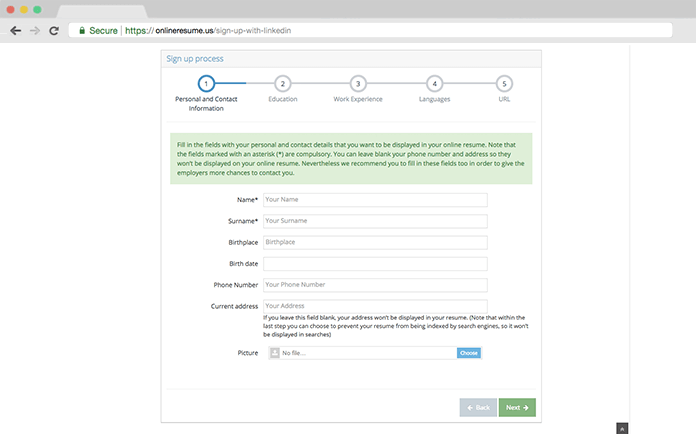 Access your resume with one click from your computer, tablet, or mobile device. 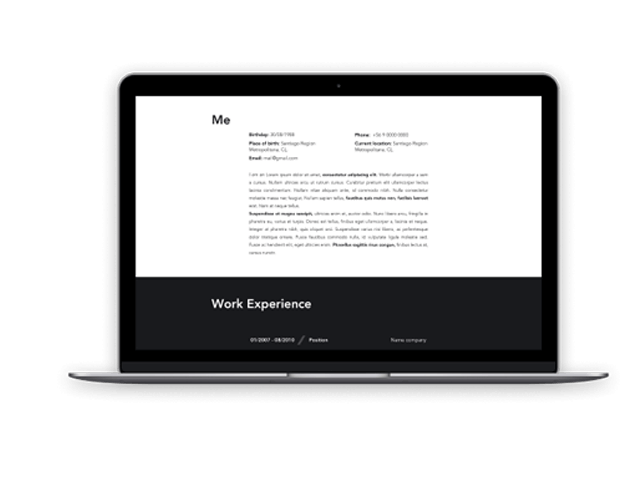 Choose from over 20 different online resume designs. 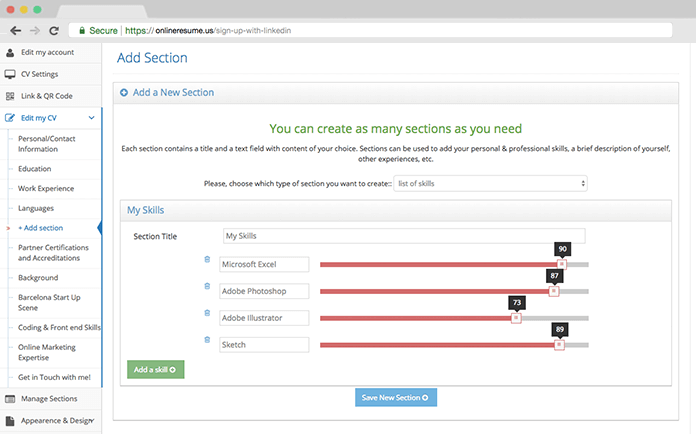 Sort and add as many resume sections as needed. 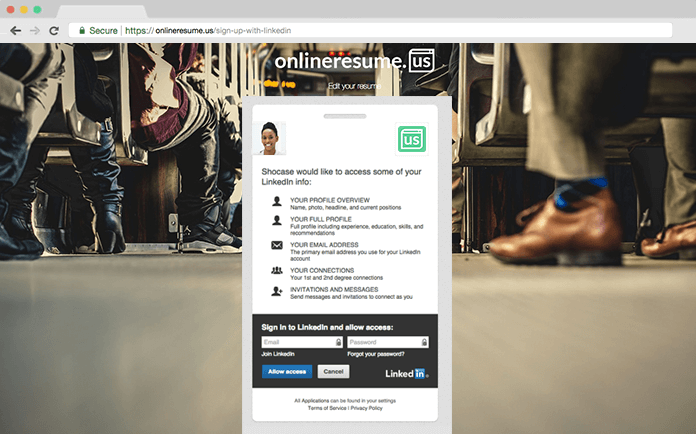 Obtain a personalizable link & QR code for every resume that you create. Build a PDF version of your resume (linked to your online resume with QR code). 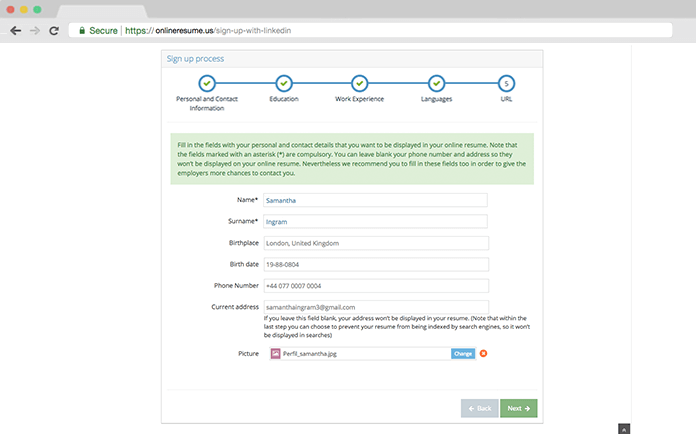 Enable recruiters to download the PDF from your online resume, at anytime. 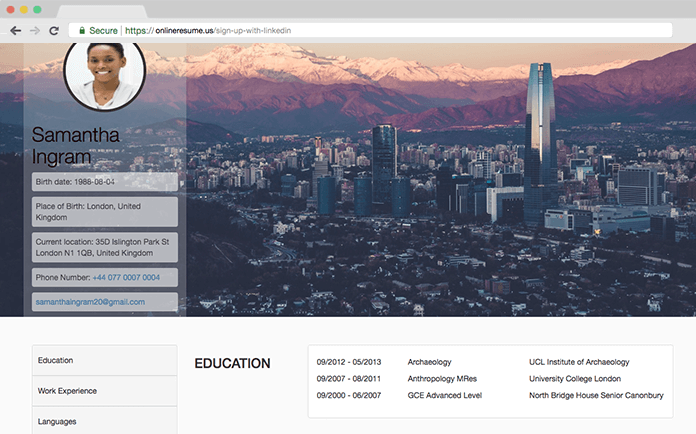 Select online resume templates that enable you to personalize the background images with your own photos. Decide if your online resume is public or private, and who can view it. Determine if your online resume appears in search results of Google, Bing, and Yahoo. 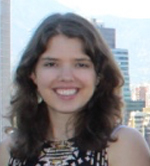 Expert guidance and tips in the resume writing process. 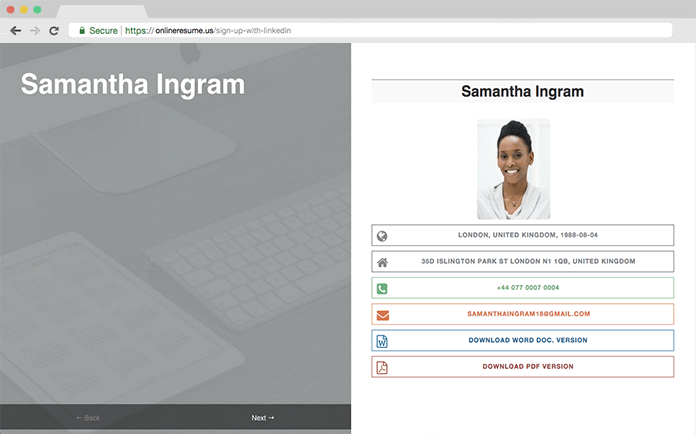 Create as many online resumes as you need, with a different PDF version, link, and QR code for each application.